FIRST POWER UP in LEGO! 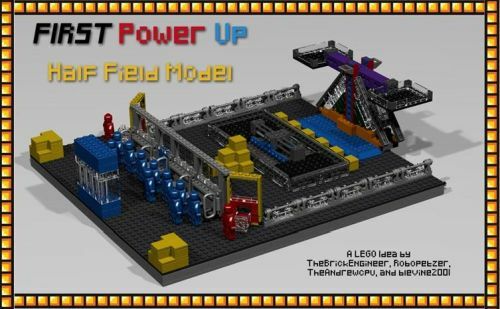 Another amazing LEGO model - this time of the FIRST POWER UP field! Take a look at this sweet FIRST POWER UP model built from LEGOs! This set, designed by FIRST Robotics Competition community members, could become commercially available if the project gets enough support. But it needs 10,000 supporters to get to the stage at which LEGO will review the model for production. That’s lots of supporters, and we need your help! Luckily, showing your support is pretty easy. See the full project here: FIRST POWER UP Half Field Model. Create a login, then click the blue ‘Support’ button. And please share the project with folks who may also lend their support. 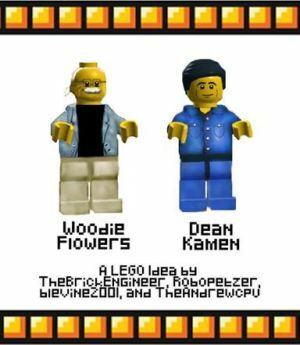 This project even includes Dean and Woodie minifigs! And who doesn’t need those? Nobody. Nobody doesn’t need those, that’s who.